For up to 5 tourers or motorhomes. All level pitches on hard standing, open all year round. A secluded location on Marton Moss adjacent to our Freshwater Fishery, but close to the major attractions of Blackpool and Lytham St. Annes and handy for local amenities. 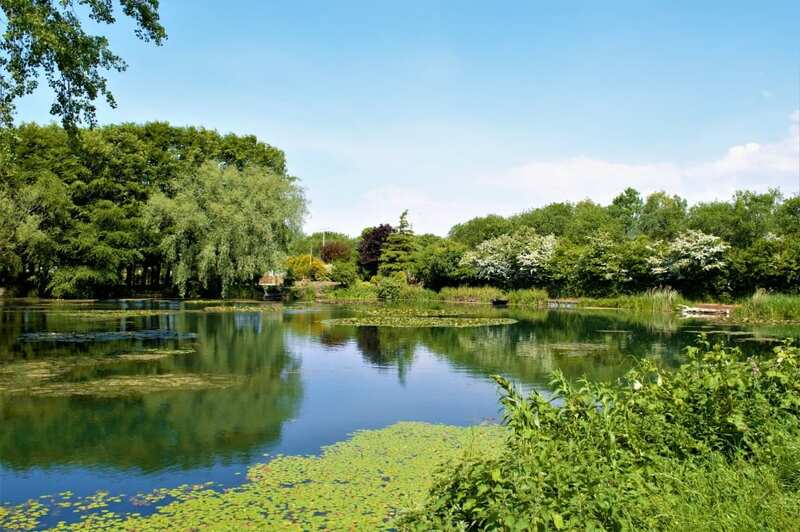 Long-established, our one-acre lake is fully stocked with specimen fish including many species of Carp, Rudd, Chub, Eel, Ide and much more. This is a secluded and quiet location, completely private with only our Fishing Club members allowed on site. 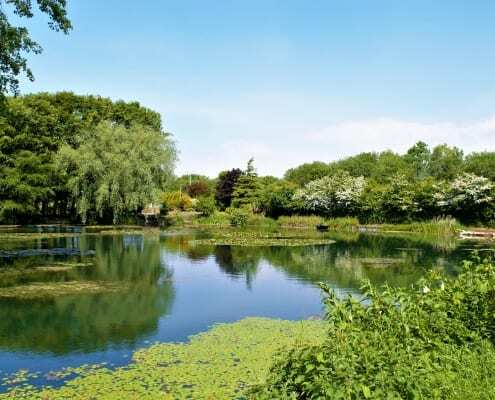 The Lake and surroundings are home to a bonanza of interesting flora & fauna, including nesting herons, great crested newts, water voles and a fairy ring. We regularly have environmentalists and conservationists down who have done a great job in recording the variety of life a the Lake. Our brand new CL site is situated over 3 acres down a quiet country lane with a private 1 acre well-stocked coarse fishing lake. From the camp site, take a leisurely stroll around our winding pathway which surrounds the lake and through our cool woodland area taking in all the wildlife. You can easily be mistaken in thinking you are in the middle of the Lake District as the picturesque surroundings and gentle sound of the water feature help you drift off into your own tranquillity. There are many bridal paths and lovely dog walks to explore around the local area. We have only 5 pitches so it’s never crowded and each pitch has a lovely view overlooking the lake. Each pitch has a 10 amp electrical supply and water tap and are individually named according to their surroundings. We have newly built shower and toilet block for our guests plus an information room with washing and drying facilities. Well behaved dogs are welcome but we ask you to keep them on a lead when exercising them. There are several large supermarkets within a couple of miles to stock up on your essentials, plus plenty of pubs with dining facilities, additionally, there are great takeaways mostly with free delivery services if you don’t want to cook! For those wanting to see the bright lights of Blackpool in all its splendour, you can hop on a bus or drive and its only 10 minutes to the town centre. Britain’s premier seaside resort offers non-stop amusement for the whole family from morning to night. Just a few miles in the opposite direction heading south of the site is the more relaxed town of St Anne’s, elegant shopping and beautiful restaurants, plenty of sand beaches ideal for family fun. Move a couple of miles further south to Lytham, again, lots more fancy restaurants and shopping and here you can take a leisurely stroll around Fairhaven Lake, Lowther Park or along the Lytham Green sea front. Cracking place, away from it all, but close to it all, have to visit to understand, hope you enjoy your visit. Small and quiet, with basic facilities, clean and tidy. Follow Newhall Avenue round to the left. The entrance to Stockydale Fishing Lake is on your left hand side, with the Lakeside Caravan Park entrance a little further down.